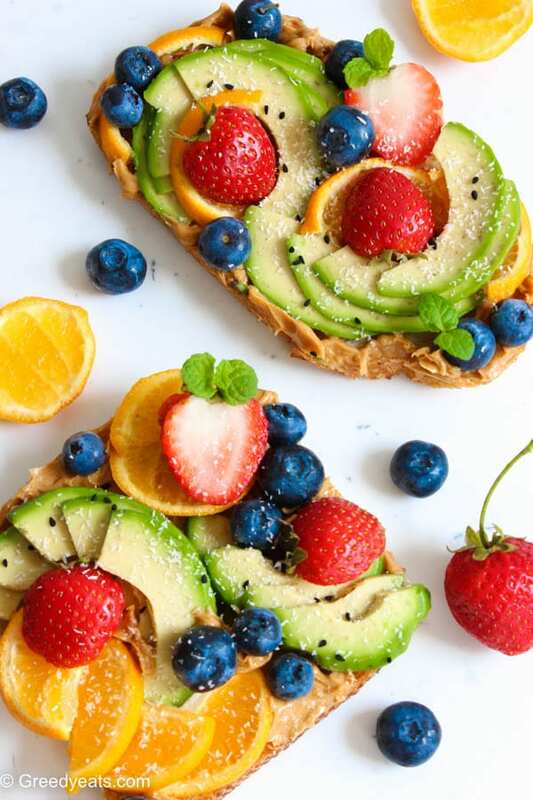 Brighten your mornings and your smile with a simple avocado toast recipe served with fresh oranges blueberries and strawberries! 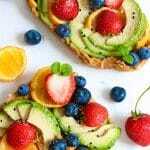 Packed with all the super foods, nutrients and anti-oxidants this avocado toast recipe beats all other toast recipes out there! A toast that tastes super creamy and fruity and is so easy to put together. Now I went crazy to decorate my toast to look like a piece of art. But if you are pressed on time, you can simply layer a toasted sour dough bread with the nut butter of your choice. I used peanut butter. Top it off with a ripen avocado, some seeds, coconut and fresh fruits of choice! I won’t suggest leaving out orange though. 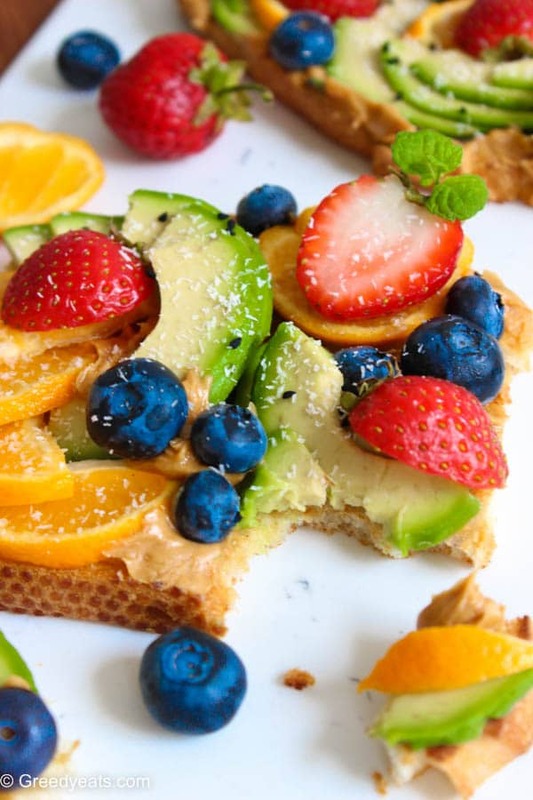 The sweet and tart flavor that orange adds to an avocado toast is unbeatable! 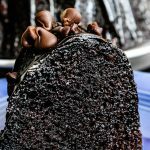 This is such a versatile recipe. You could make use of any bread that you prefer. But I personally like the crunch that sour dough bread brings in. Perfectly compliments all those juicy fruits on top! You know what the best-est thing about this sweet and simple avocado toast recipe is! It’s a no extra sugar added S-W-E-E-T toast! It is naturally sweetened with all the sugar from fruits. Though you could always drizzle some honey or agave if you prefer it sweeter. A perfect and healthier toast to fuel you up till lunch! I also topped mine with a few mint twigs. For the looks and added freshness. Toast that bread and decorate yourself a sweet avocado toast! Take some time to garnish it to your heart’s content. You’ve earned it! Follow me on instagram and tag #greedyeatsblog so that I can see all your avocado toast innovations! 1. Toast two sour dough bread slices to your liking and keep aside. 2. 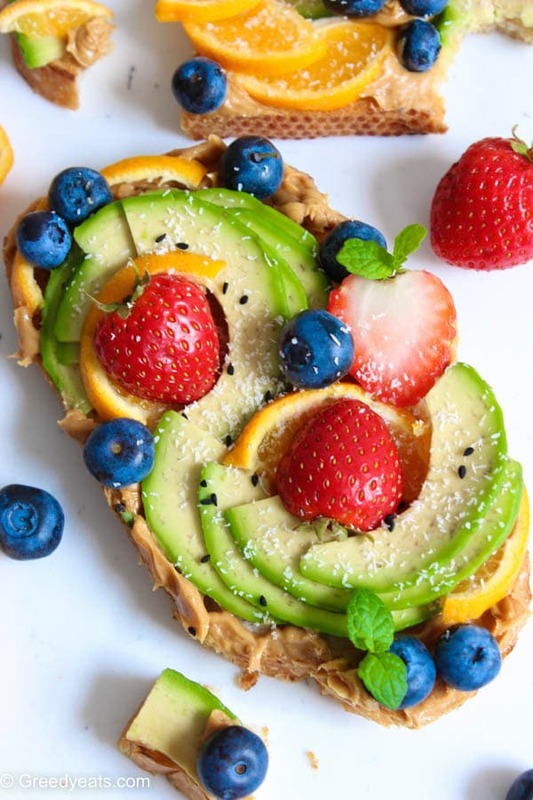 Cut thin stripes of avocado, wash some berries and cut strawberries into halves. 3. Spread peanut butter on toasted bread slices and top with avocado stripes. 4. Arrange a few orange slices (remove peels, i didn't for my photography) over your toast. Now top it with strawberry halves. 5. Put some blueberries and sprinkle with coconut and sesame seeds. Garnish with fresh mint twigs. 6. Drizzle with sweetener of choice if desired! You can add fruits of choice in this avocado toast. But I'd suggest not to leave out orange. It adds a unique sweet-citrusy flavor to the toast that you will love. 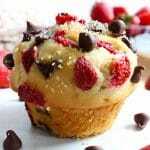 oh..this looks super yummy and good for you too! Love this fresh slice of vitamins not overpowered with sugar. Nice idea for office brunch ! This looks amazing! I love fruit with avocado! Neha, I never thought of adding peanut butter to avocado toast! And what a genius idea the orange is! I’m going to give this a try, so many of my favorite flavors! Thanks for the inspiration! I know right! I am a crazy nut for oranges in my toasts, I am sure you will love them too Laura. So interesting! 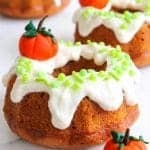 I’ve never thought of avocado in a sweet way before! Your photos are delightful! So glad you like these Marcellina!